LED lighting solutions are especially appealing due to their versatility, light weight and low cost. Polaroid adds to the mix with the introduction of its new LED lighting panel. The light source is shapeable, bendable and foldable, making it a versatile accessory for photographers and videographers. 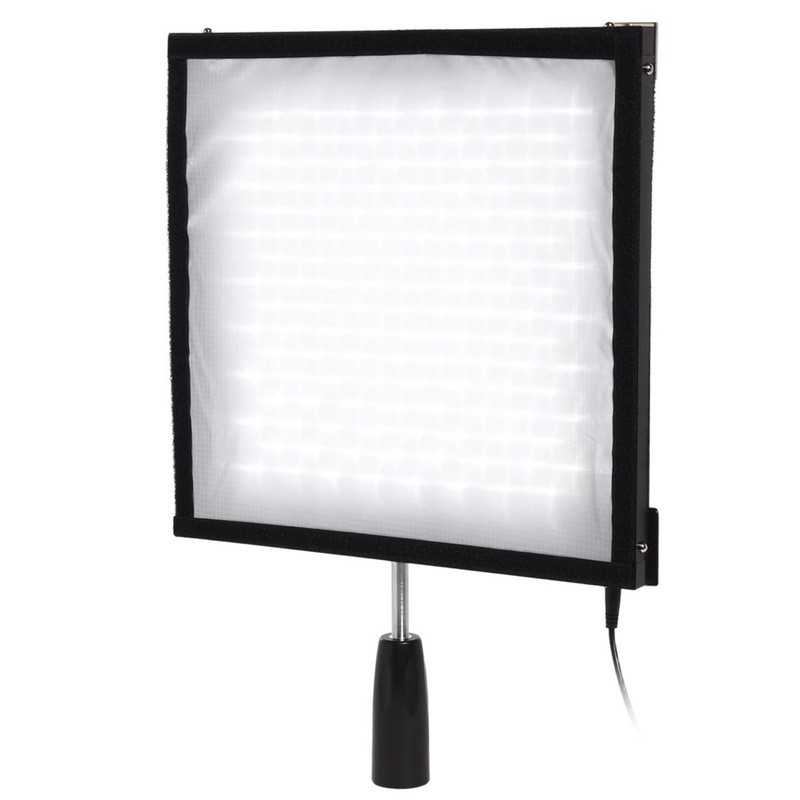 Suitable for indoor and outdoor shoots, as a main light or as fill, the bright flicker-free light has a color temperature of 5600K, and its 256 LEDs can produce up to 4500 lumens. 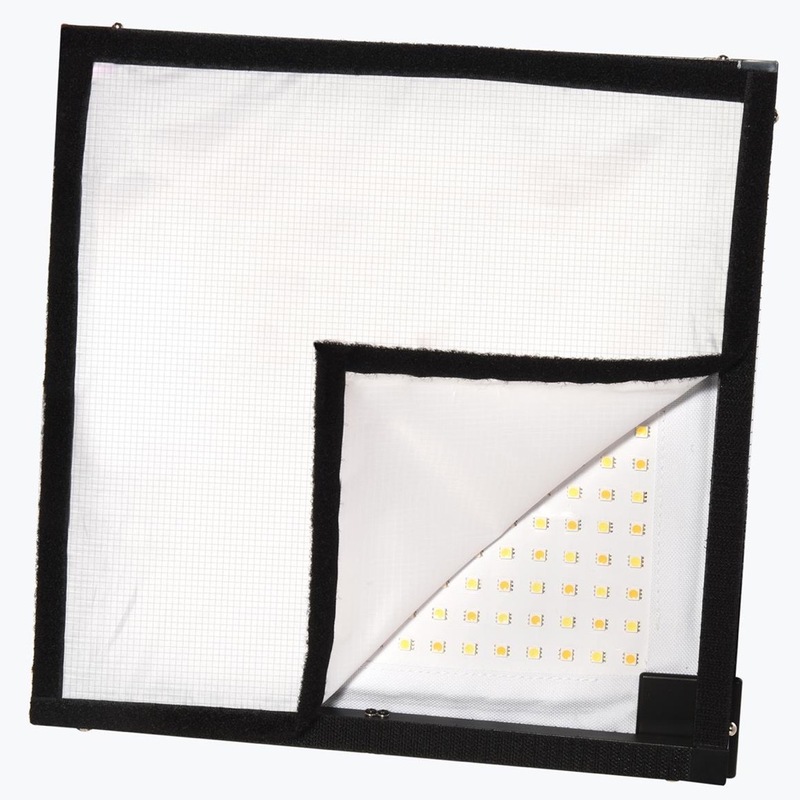 The daylight-balanced LED measures 12×12 inches, is 16mm wide and weighs a pound. It can be adjusted with a wireless remote. The Polaroid LED lighting panel is priced at $124.99 and is available through Amazon. Learn more at Polaroid.com. Edison, NJ – September 26, 2017 – Polaroid today announced the Polaroid flexible LED lighting panel, an incredibly lightweight, bendable light source that is a must-have accessory for any photographer or videographer. Mold the light to the desired form and position, as the pliable flat-mat material can be reshaped to give focused control over the light’s direction and fall-off. Anyone from professional photographers to casual enthusiasts can use the simple wireless remote control to quickly dim the daylight balanced light source, making it perfect as a main light or as a versatile fill light in larger set-ups. Perfect for both indoor and outdoor use, the 5600K color temperature light source delivers flicker-free brilliant light wherever you take it. Bright and flexible enough to be part of a larger professional shoot, the Polaroid flexible LED lighting panel is also light enough for use at solo outings, weddings and location shoots. The compact design and bendable material make this the perfect accessory for the photographer on-the-go. Measuring at 12×12” and just 16mm wide, the super slim Polaroid flexible LED panel mat weighs a mere one pound, making it easy to arrange and mold the light into your ideal position. Even at this ultra-portable size, the Polaroid flexible LED lighting panel delivers superb color reproduction similar in comparison to a natural light source; with 256 LEDs it can produce up to 4500 Lumens – nearly the brightness of direct sunlight. For those looking to achieve a softer look, the included special diffusion filter turns the brilliant LED light into a dreamy glow – perfect for portraits and product shots! Photographers and videographers can purchase the Polaroid flexible LED lighting panel from Amazon for 124.99 USD.